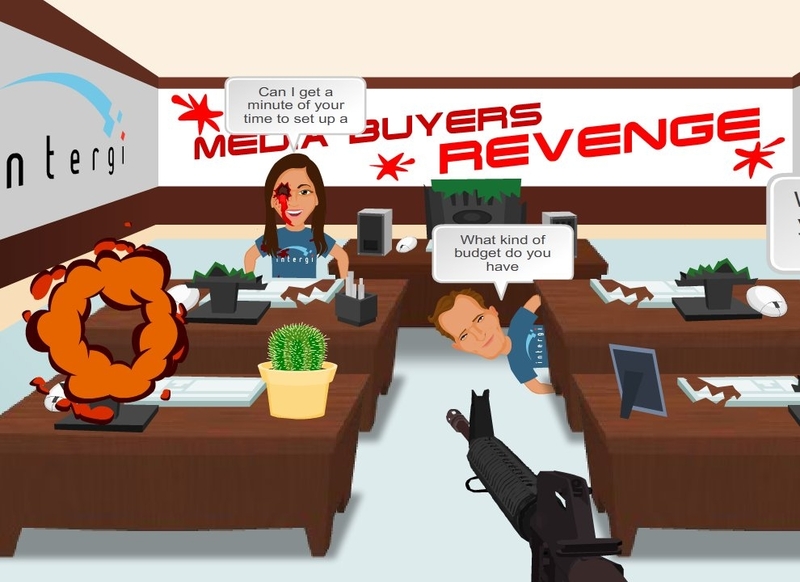 If you're a media planner or buyer, you're gonna love this new online game from Intergi. Are you sick of sales people bugging you? Tired of self-important AE demanding you revise that media schedule one more time so there's one m ore line on the flow chart between the online portion of the buy and the offline? Ready to tear the head off that pompous creative who thinks he knows media? A-MAZING. I once hid under my desk when a rep paid an unannounced visit. Don't you just love how the auditors burst into flames??? kudos to Jayson and egame logic team! thx for the lol moment!